Notre Dame’s final play wasn’t called for Arike Ogunbowale. 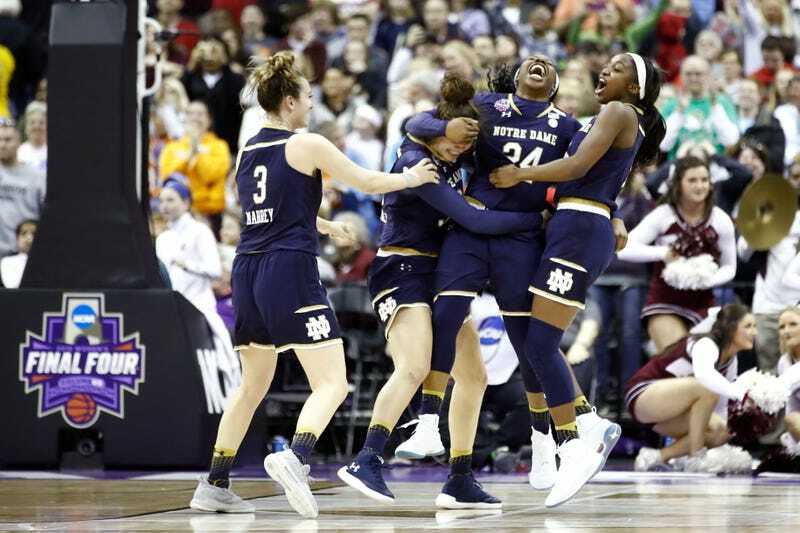 After hitting the winning three in Friday’s semifinal win over UConn, the Notre Dame junior guard had an off shooting night against Mississippi State, and when the Irish inbounded the ball in a tie game with three seconds left, the play was designed to go to leading scorer Jessica Shepard. (“Arike hadn’t been shooting the ball particularly well,” head coach Muffet McGraw said. “Jess was.”) But Shepard wasn’t open. So Ogunbowale got open. And was the hero again. Jackie Young, inbounding the ball, had a contingency plan. 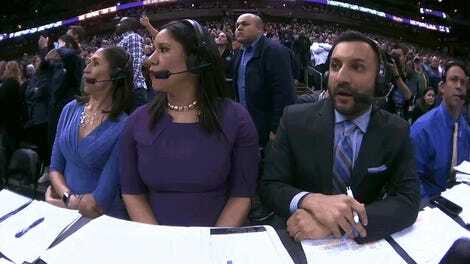 At least she was somewhat prepared to shoot from there, and not just because of her make against UConn. Teammate Marina Mabrey noted that Ogunbowale loves the corner three in practices, even if it doesn’t go down all that often. Maybe what Ogunbowale was missing in warm-ups was a hand in her face, forcing her to release a split second earlier than was comfortable, and put a high arc on the ball, causing it to hang there for what felt like forever before falling home. This was maybe the single best coaching job in McGraw’s storied career. The Irish played the entire season without All-American center Brianna Turner, and lost starting PG Lili Thompson in December. They were also without rotation players Mikayla Vaughn and Mychal Johnson. All four were lost to torn ACLs, indicating a curse of some sort, but McGraw coached the team to a 1-seed and a national title, for the third game in a row with just six players.